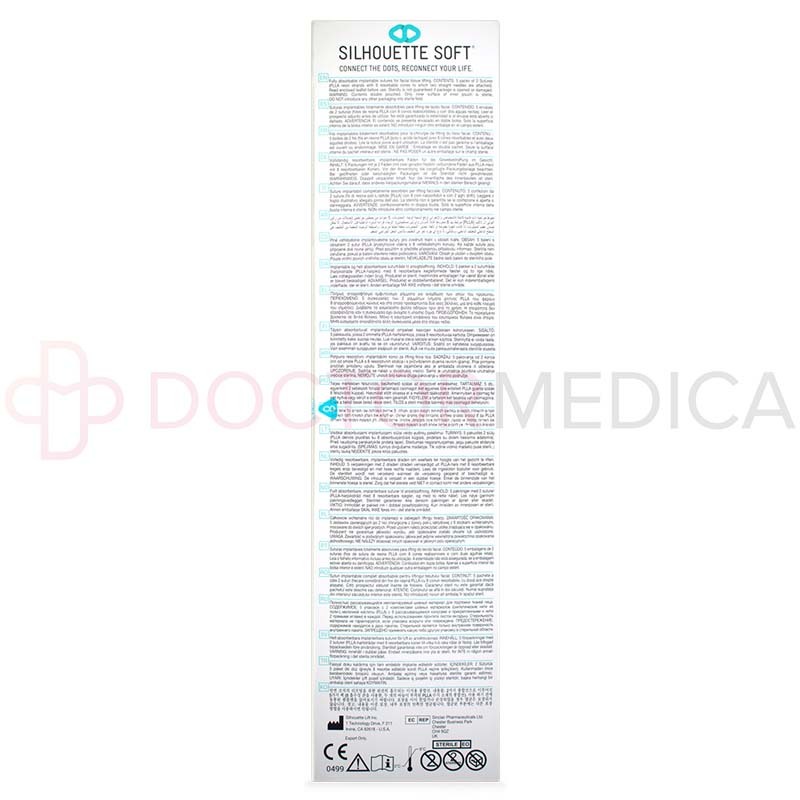 Silhouette Soft® is a medical suture for a non-surgical facelift, and you can purchase it online from DoctorMedica.co or by phone. Buy it from Doctor Medica to help lift and tighten skin affected by sagging and wrinkles. This product is sometimes called Instalift or Lift. 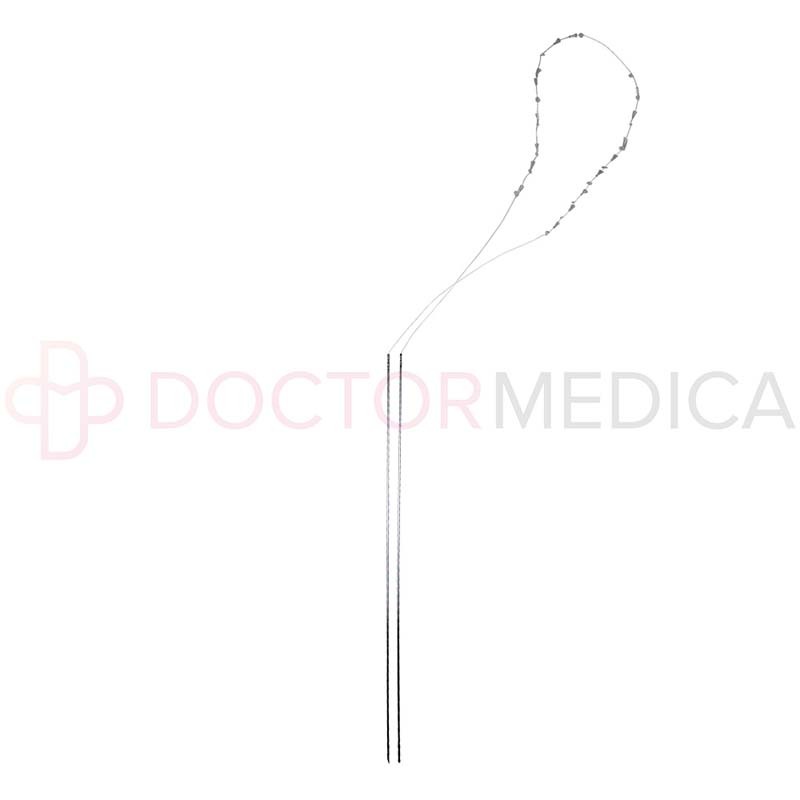 Doctors have used medical devices made of PLLA for many years as suture thread, orthopaedic pins, screws, and bone fracture nails, and these threads are similar to polydiaxanone (PDO) threads. Doctors use it as a non-surgical alternative to a facelift, called a suture lift or a thread lift. You can use it on areas of the face or neck to correct sagging wrinkles, lifting and tightening skin to appear smoother and more youthful. This could include areas such as the cheeks and cheekbones, the midface, facial contours, jawline, eyebrows, or neck. 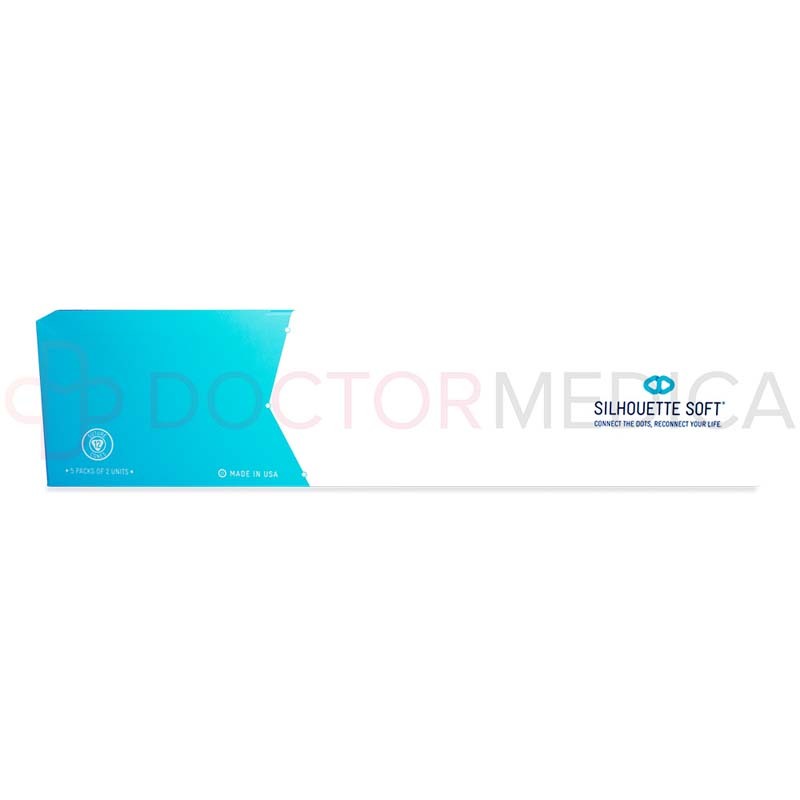 The instalift suture is most suitable for men and women in their thirties to fifties whose skin still has a good support structure with minimal sagging and only early signs of aging. When you insert it beneath the skin, the suture helps physically lift and tighten the skin, and the cones help to keep the suture in place. The Poly-L-Lactic Acid in the suture also helps to stimulate the growth of new collagen in the area. This collagen then gives the skin structure and support, helping prevent the skin from sagging and wrinkling. The sutures and cones then gradually break down within the body. As you insert the sutures, the results will be visible immediately as the threads lift the skin. As the PLLA gradually dissolves within the skin, the new collagen growth remains, so the results usually last about eighteen months to two years. How long the results of the non-surgical facelift last depends on factors such as the patient's lifestyle and rate of aging. Only trained medical professionals should use this medical device. To use it, mark the location where you will be placing the sutures, use a local anesthetic at the entry and exit points of the sutures, and remove the sutures from their sterile pouch. Using a fine needle, insert the suture into the subcutaneous layer, starting at the middle of the suture and the middle of the treated area. Advance the thread through to the exit location so that the first set of cones is in place within the tissue, then cut the needle so that a small piece of suture is still exposed. Insert the second half of the suture using the same technique. Then, apply tension to the sutures and compress the soft tissue until you get the amount of lift you need. 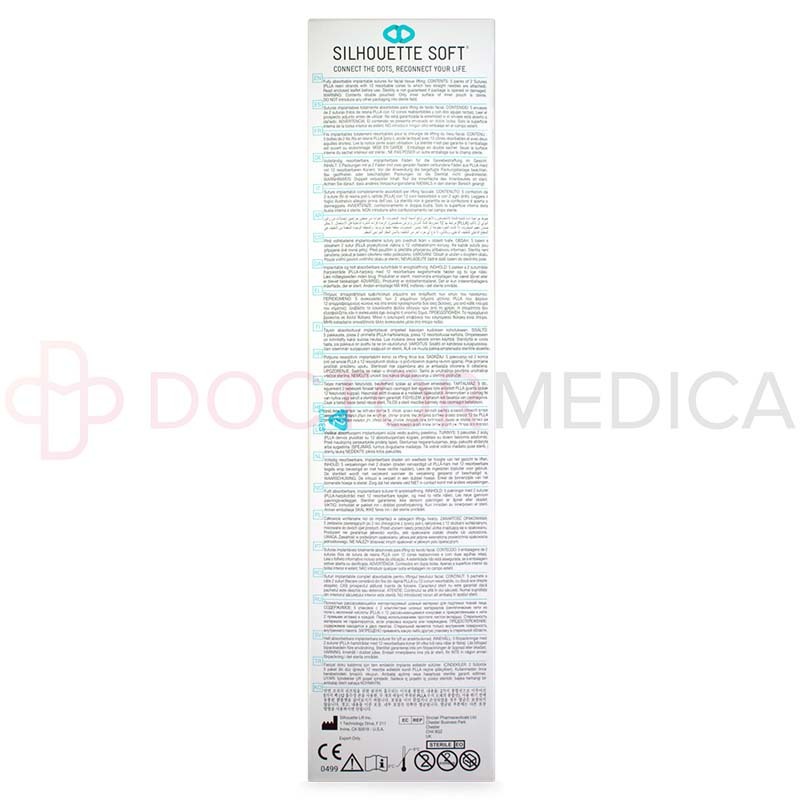 Attach and secure a permanent monofilament suture to the proximal end of the suture. Trim the ends of the sutures, burying the ends under the soft tissue and closing the incision. These sutures are for single use only, so dispose of any unused sutures from an open package, and do not resterilize. If you need to adjust the implant, extract the suture, using a small incision to release the anchor if necessary. For full application instructions, refer to your product leaflet. 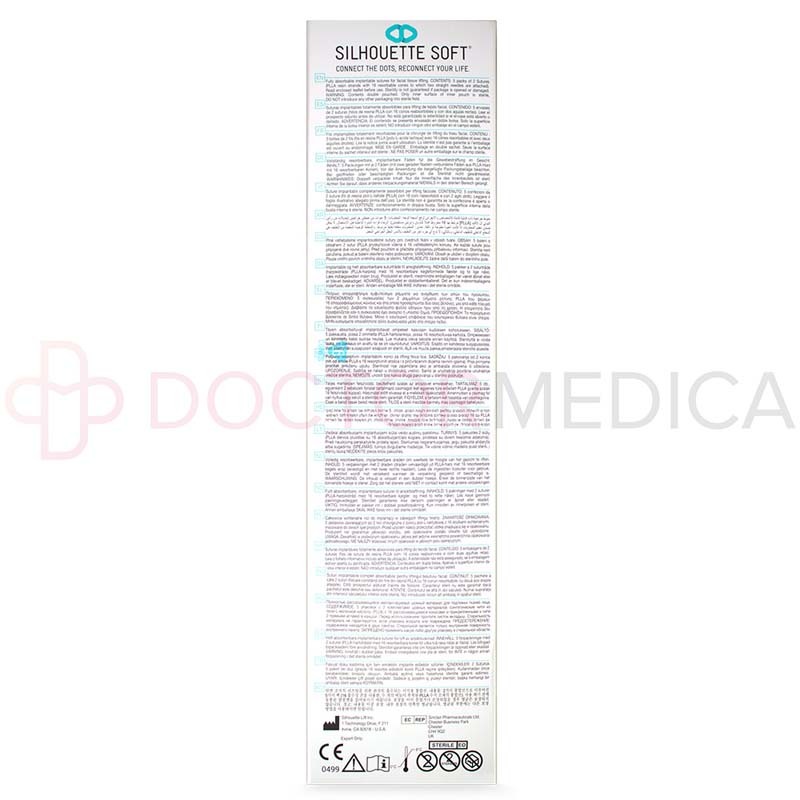 You should not use it to treat patients who are allergic to plastic biomaterial or who have foreign-body sensitivities; areas with an infection; or areas with thin facial tissue. If there is discomfort, reaction, or infection, you may have to remove the sutures before they dissolve. For the first day after application, your patients should avoid washing their face, shaving, or applying makeup to the treated area, and do these things gently for the next five days or longer. For the two weeks after treatment, your patients should also avoid tanning beds, exposure to direct sunlight, excessive face and neck movement, and rubbing or massaging the treated area. For three weeks after treatment, your patients should avoid saunas, high impact sports, facials or other beauty treatments, and dental work. In the first three to five nights after treatment, your patients should prop up their head with pillows to keep their face slightly elevated, avoiding flattening their face as the treated area heals. You should prescribe an antibiotic cream for your patients to use twice a day for about the first five days, applying the antibiotic to the suture entry and exit points. If needed, your patients can take over-the-counter pain medication for the first few days to reduce their discomfort. These may not be all the precautions related to using this product. Refer to your product leaflet for more information. Most minor side effects will clear within a few days. These may not be all the possible it side effects. Refer to your product leaflet for more information. 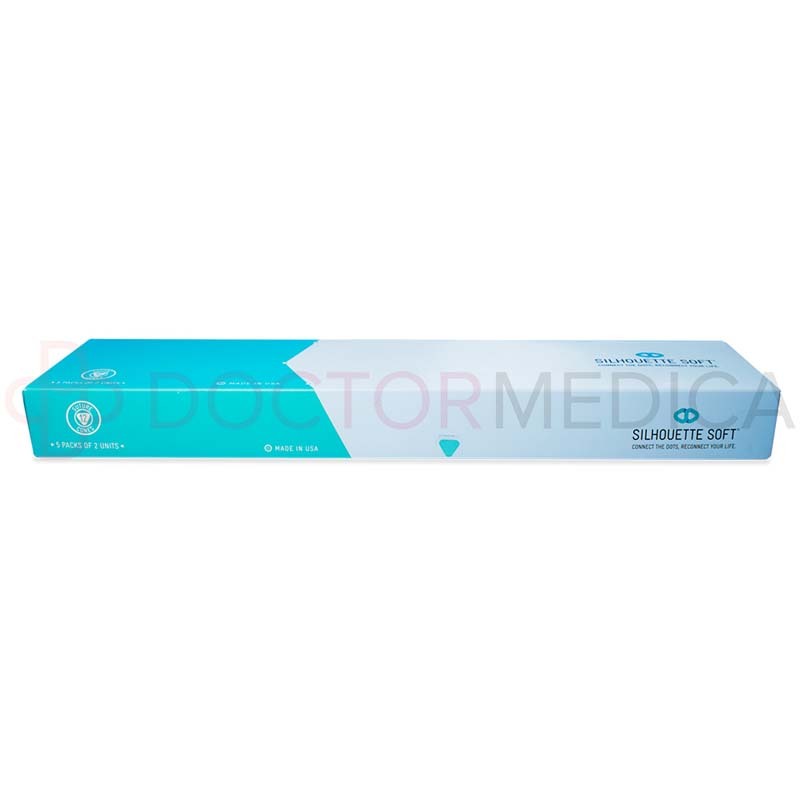 *Doctor Medica offers only genuine it manufactured by Sinclair Pharma. All brands listed here including it are the trademarks of their respective owners and Doctor Medica is not affiliated with them in any way.